If you haven’t flown on Thomson’s innovative Dreamliner yet, now known as the TUI Dreamliner, then it’s about time you experienced it for yourself. Wondering what all the fuss is about? Well, it’s faster, you have a bigger seat pitch, more overhead room, and don’t forget to look out for the ‘Thomson Wave’, a light show that sweeps through the cabin. Having experienced a Thomson Dreamliner for ourselves, we’ve reviewed the high-tech jet based on its seats. That’s right – we are going to give you the low down on the best seats, so you can have as comfortable flight as possible. As we’re sure you’re aware these are the best seats on the plane and come with the highest cost. But, if you require extra comfort, they’ll be worth every penny. The Thomson Dreamliner comes with a standard seat pitch of at least 33 inches, two inches more than a Boeing 747, while Thomson Dreamliner Premium comes with a seat pitch of at least 36 inches. Therefore, all that added space and extra recline means you have plenty of room for eating and sleeping – yes, these can become extremely problematic tasks when you have restricted space. Not only do you have more leg room, but you’re treated like royalty too. As you board you’ll receive a complimentary wine, newspaper and necessity kit by Rituals, all nice touches before your TUI holiday starts. When it comes to your meals, Premium customers choose from a different menu, four delicious courses to be exact. And if that wasn’t enough, you’ll also receive fast-track through security, lounge access, extra luggage allowance and priority boarding. These extras will instantly make your airport and boarding experience so much more enjoyable. Seats with extra leg room are the next best thing, again you’ll be expected to pay extra for these, but just think about all that space. With up to two inches on top of your already larger seat pitch, that extra room makes a huge difference when it comes to your comfort. Sit back and watch a film or curl up with a book – after all, you didn’t pay more for nothing. These seats are also suitable for children and anyone who suffers from mobility issues, so it doesn’t matter who you’re travelling with because these seats accommodate everyone. They’re also located towards the rear of the plane in rows 31 to 36. Like Premium, extra leg room seats come with early access to Thomson’s Select Your Seat service. So, instead of waiting for the 90-day window, you’ll be able to choose your seats straight away. The main difference between extra space and extra leg room seats is they aren’t suitable for children or passengers with limited mobility. The reason being, they’re are usually located next to an emergency exit or by a bulkhead, which means you’ll have no floor storage and your arm rest will double up as a tray table. It’s not all bad news though, the extra space is great for leg room – even better if you’re tall. But remember there are only a few extra space seats on offer, so availability will be limited. These seats also come with early access to online check-in, meaning you can select your seats as soon as you book using the Thomson Dreamliner seat plan. The majority of standard seats are the same, apart from two on row 37 which come without a window and those at the very back of the cabin that have limited reclining space. But apart from that, they come with all the same features such as tray table and entertainment system packed with movies and TV shows. Plus, you can still take advantage of all the same Dreamliner benefits in Standard Economy Club. 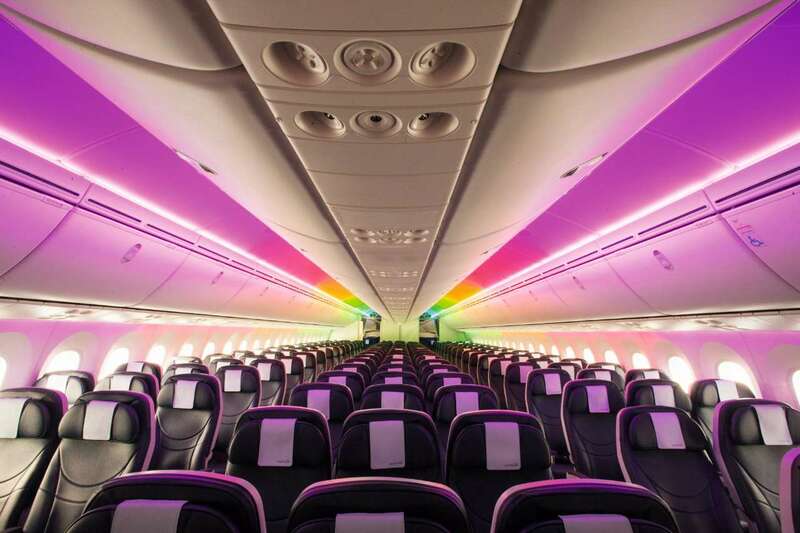 Flying on one of these state-of-the-art planes can significantly reduce jet lag due to its improved air filtration and humidity levels as well as free soft, alcoholic and hot drinks throughout all long haul journeys. So all those great Thomson Dreamliner reviews you’ve heard are true, this spacious plane is well worth flying on. The question is, which seat will you choose on your next Thomson Dreamliner getaway?